Transform Africa has ended. Question is; what did Rwanda get out of it? 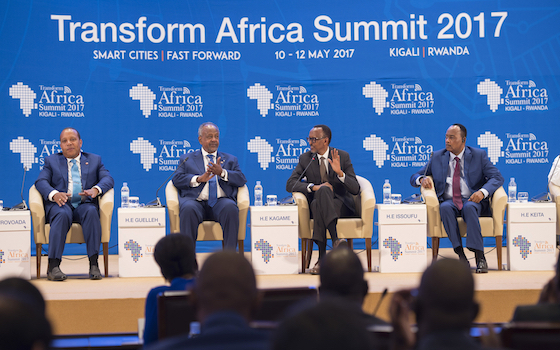 In his remarks at the end of the summit, which brought over 400 participants, the Executive Director of Smart Africa gave a synopsis of what came out of the summit and how it unfolded. “There is a $ 50 million contract that has been signed to start implementing it . Ten sponsor side sessions. In addition to our regular sessions, there were three new sessions: the Business Dealers Symposium, the Smart Africa Women Summit, and Ms Geek Africa Competition. We were blessed by the presence of the Heads of States from Togo, Djibouti, Sao Tome, Niger, Mali and Rwanda. We were also blessed by the presence of the First Ladies of Mali, Sao Tome and Rwanda. Vices of Government from Zambia, Prime Minister of Guinea, Prime Minister of Gabon, Prime Minister of Principe. We have over 4000 delegates. We have beaten all records of participation this year. Over 300 private sector companies participated. 80 countries, high level participation from Korea, Russia, Japan and Estonia. 8 MoUs, some of them in Smart Africa, Microsoft, Global Voice Group. And MoUs were signed between the Government of Rwanda’s Information Society Agency (RISA), Hancom Group, and the Ministry of Youth and ICT. We will actually sign them in front of you, between the Government of Niger and the Government of Rwanda. The second one is the Agakhan Group. We are also proud to declare that new members have signed up for Smart Africa. Tunisia, South Africa, Sao Tome and Principe and Cameroon, have declared their membership. I am pleased to inform you that the Minister of the Federal Republic of Nigeria also informed the board yesterday that Nigeria is very close to joining soon. We will warmly welcome them soon. The same for Zambia, we are looking forward to our discussions very soon. Our Smart City Exhibition attracted 50 exhibitors after the showcase. We had 19 sponsors. Our special thanks go to Imasa and Carnegie Mellon University, the key sponsors of this event. Please give them a round of applause. This year, we received great interest from media. Over 200 journalists attending and covering the event. One of our sessions on Hancom was broadcast live on Korea television. Let me take the opportunity to thank you all for your participation. I want to thank the team of the Smart Africa and the Government of Rwanda, the organizing committee that has risen this summit to the success it has been today. On their behalf, I would like to humbly apologize, if any imperfection has happened. We are simply humans. We are real, and we can do better next time. Please, let us know that you forgive us. I would like to thank the people involved in this summit. The sponsors, the organising committee, the moderators, speakers, exhibitors, media, and everyone who has shown interest in this. Most importantly, I would like to thank the players of different cities of Smart Africa. You were really the success of this conference. And this conference was for you. Because we wanted to make sure that all of our African cities are connected. 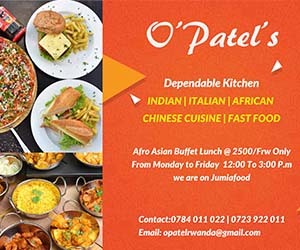 And we hope to be working with you in the years to come to ensure that all of us will have to benefit just like we are enjoying the connected city of Kigali. We wish that every African village, city will also get the connectivity in the smart villages that we have. I would like to thank the youth who participated. Especially the female who really made us very proud. And the competitors in all of the competition we did. From the Youth Connect to Ms Geek Africa, I would like you to really know that those who came here and those who could not make it really believe in the youth, they believe in the picture of this great continent, and they are committed to make sure that we make everything possible so that you exercise your rights to ICT which means I for Innovate, C for Connect and C for Transport. We hope that you are going to innovate, connect and transform this continent. I would like to thank our Heads of States and First Ladies, Vice Presidents, Prime Ministers who have blessed this event, for their continuous support. Last, but not least, I would like to have particular thanks to His Excellence President Paul Kagame. On a personal note, for his strong support, his leadership and guidance that he has brought to Smart Africa. President Kagame is keeping us on our toes and that is something I like. We have no chance, no reason whatsoever for failure. After Dr. Toure’s speech, Rwanda’s Minister for Youth and ICT, Jean Philbert Nsengimana proceeded to a signing ceremony of a MoU between the Republic of Rwanda and Niger on cooperation in the field of information, communication and technology. What are your views? Leave your comments below.